There are many ways to improve and boost an online marketing strategy. Be that as it may, the easiest option would be to make use of the services provided by Google. Google is not just a search engine after all. It has a number of features and tools that can help your business increase its presence online. The My Business feature from Google is the easiest way to earn online advertising for your business for free. The process is quite simple. You will need to get your listing on Google My Business which was earlier known as Google Places. Once done, your business will start popping up in the search results when people search for local businesses. Google Plus is an invaluable tool when it comes to SEO. It can also be used to improve the online presence of your business. It becomes all the more important when you run a local business that has got listed in Google My Business. After all, you have to link your Business Page on Google Plus to the listing on Google My Business. Therefore, you should take out the time and improve the Google Plus page by adding the relevant information to the profile. If Google penalizes your website, you will find it excruciatingly difficult to run your business online. In order to avoid such a scenario, you should register with Google Webmaster Tools for your website. The Webmaster Tools will warn you of any potential features that can cause Google to levy a penalty. 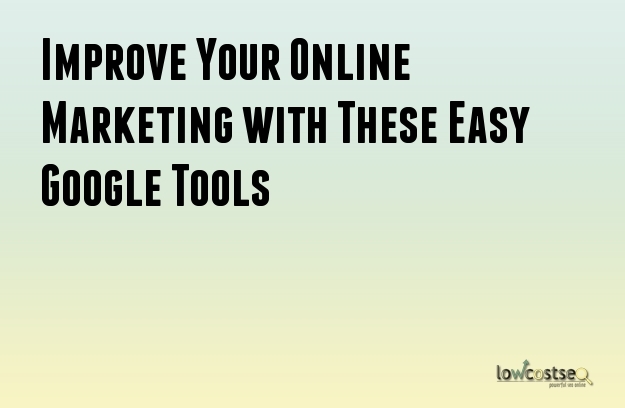 This tool from Google can be used to get important information about your website such as number of visitors, bounce rate, time spent on website and so on. These statistics can help you understand the performance of your website which can help you make the necessary improvements. Google AdWords can help you run a good pay per click advertising campaign. With this tool, you will be able to create specific advertisements for specific keywords. This is targeted marketing and the advertisements can be displayed whenever people search on Google using those keywords. SEO is an incredibly important part of running a successful website for your website. You can use this tool to help you understand and locate keywords essential for your business. It makes keyword research an easier process. You may even get new ideas for your keywords. Google Trends can be just as useful as the AdWords Keywords Planner. You will be able to make smarter choices regarding the keywords for your business. You can compare the competiveness of keywords, measure their effectiveness against other variations and even analyze their popularity charts. YouTube is a part of Google and it is the biggest video sharing platform. If you wish to market using videos, YouTube should always be your first choice. Google understand the needs of businesses which is why it has many tools in place to help boost their marketing efforts.